Come and experience what it is like to fly through the air and land on a cushion of air. That is what the Big Bag offers. 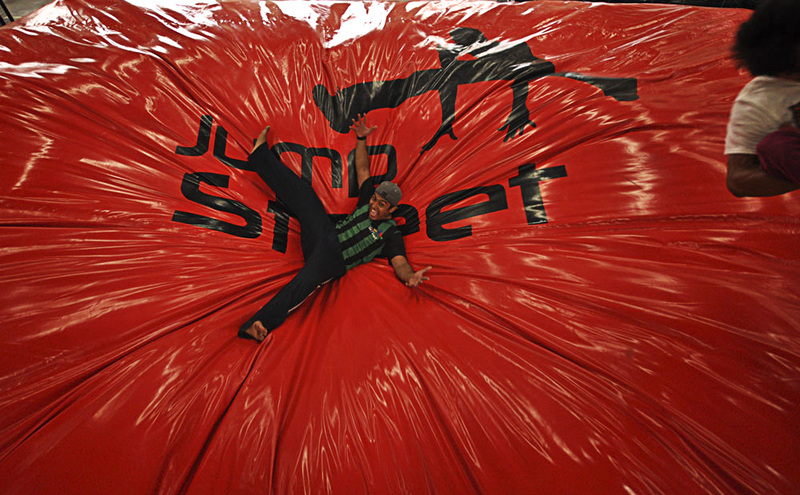 Whether you are an experienced athlete practicing your aerial moves or a first timer trying out a somersault, the Big Bag offers you the ultimate soft landing. 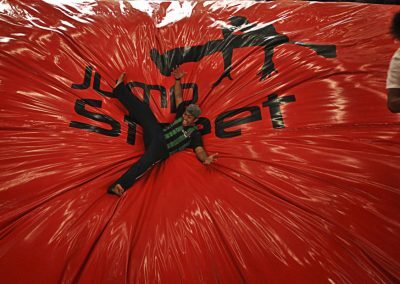 Our massive 7m by 10m airbag is part of Jump Street’s High Performance area. Watch skilled athletes demonstrating their skills or try it for yourself.